Our Moderate VISA-Free 1-Day St. Petersburg Shore Excursion is a little bit more intense than our Light 1-Day St. Petersburg Shore Tour; it is designed for most cruise passengers who only have 1 day for sightseeing in St. Petersburg, Russia. You will see all main Landmarks, and also visit Peterhof, Hermitage, and Church of Our Saviour on Blood in one day. 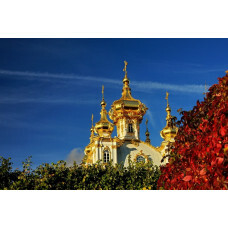 You may also replace visit to Peterhof with visit to Pushkin (Catherine Palace and Park, Amber Room) for free!